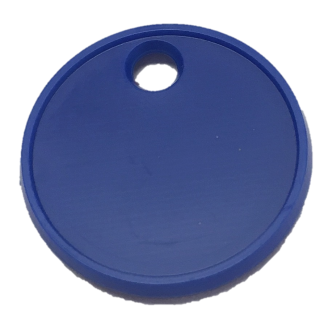 £1 sized tokens are ideal for running promotional campaigns (think custom branding on trolley tokens) and are also perfect for bulk-ordering and being sure of the exact sizes of the tokens you will be receiving. Shop from 15 different colours with a whole variety of customisation options. Send our team a message today to see how you can take our £1 sizes tokens to the next level with a fully customisable bulk order.